Hyundai India had recently launched its new hatch from the ‘fluidic sculpture’ design theme, and it appears the car has received such a tremendous response that the Korean automaker plans to expand the portfolio of its top-end hatch. The Hyundai i-Gen i20 will now be rolled out in 12 variants, including five diesel and seven petrol. For the petrol options, the prices are pegged from Rs 4.73 lacs to Rs 6.67 lacs. Whereas, the diesel trim prices range from Rs 5.96 lacs to Rs 7.44 lacs, and the diesel automatic costs Rs 7.67 lacs, as per ex-showroom Delhi. For promoting the new product, the Korean automaker has launched a new marketing plan called, “I live the uber life” meaning life beyond the usual things, and Hyundai explains that the product inspires this theme. Hyundai aimed a notch higher in the market by adding the ‘fluidic sculpture’ design theme to the successful forerunner, the i20 hatch. The Hyundai iGen i20 features premium class hatch features, including rear parking camera with display in the cabin mirror, auto headlight control function, clean air-cluster ionizer and rear sensing wipers. Other key features include 6 Airbags, ABS, clutch lock system, smart pedal system, auto door locking, speed sensing and impact sensing. In the market, the Hyundai iGen i20 some bigger fishes to battle against, which includes the Skoda Fabia Diesel, Volkswagen Polo, Fiat Punto, Nissan Micra, Maruti Swift Diesel and Renault Pulse. Under the hood, you can find option of a 1.2-litre Kappa petrol engine with double VTVT mechanism that churns as much as 84 PS peak power and is rated at 18.5 kmpl fuel-economy. There is also the option of high-tech 1.4-litre U2 CRDi diesel motor with 6-speed manual transmission. Another automatic edition boasts 1.4-litre Gamma petrol engine that can pump out 100 PS peak power together with 13.9 kg-m of torque and boasts a fuel-economy of 15 kmpl. 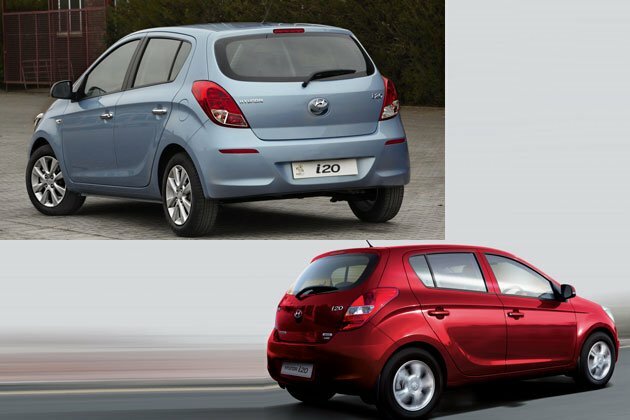 Hyundai has registered a great year by growing 20 percent and selling 2 lacs units of i20 in the last six months. The Korean automaker plans to strengthen its foothold in India with the new iGen i20.